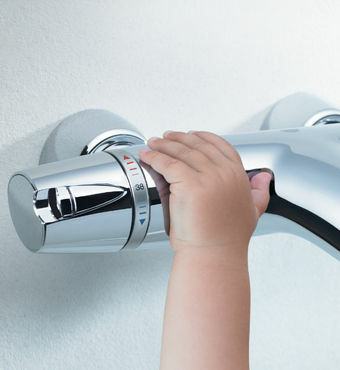 A thermostatic mixer maintains an exact water temperature for the duration of your shower. It protects you from any sudden changes in the water supply to the shower, so even if somebody flushes the toilet or turns on the kitchen faucet the temperature of your shower will remain the same. Yes, GROHE offers several different models to meet all your showering requirements. Our concealed and exposed thermostatic shower mixers and bath/shower mixers offer exceptional value at every price point, while our range of stylish designs coordinate with GROHE faucet collections.